// What will happen when I visit for the first time? If you’re visiting for the first time, we will not embarrass you, single you out, or ask you to give money. We understand that trying anything new can be a little intimidating at first. We encourage guests to make themselves at home and see if this is the church that’s right for you. // What are your weekend services like? Our weekend services are relaxed, friendly, and life-giving. You’ll find exciting worship music, along with practical, relevant Bible-teaching. We’ve designed the weekend experience with the whole family in mind so that your children are well-cared for in a loving, quality, and fun-filled kids service. // What do I wear to attend your services? You’ll find everything from casual clothes to dressy attire at our weekend service. Come in what is comfortable for you because Submerge is not about what you look like or what you wear. // Where are you located? // What about my children? 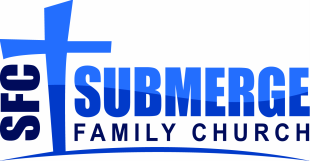 At Submerge Family Church, we have a passion for healthy families, and that means your children are a top priority. Our nurseries are clean, safe, and staffed with loving workers. We offer a dynamic children’s ministry that seeks to engage kids and equip families. // How can I meet others and get connected? There are many ways to get involved. A great starting place is to sign up for our Newcomers Launching at the resource table for great food and fellowship where you’ll meet church leadership and learn more about the heartbeat of Submerge Family Church. We invite you to build friendships, learn more about the life of our church, and grow in your faith.